I’m Ed Smith, a Sacramento injury attorney. Do you remember the nursery rhyme “Humpty Dumpty?” Here’s a quick refresher: Humpty Dumpty is traditionally portrayed as a large anthropomorphic egg who experiences a “great fall” while sitting on a wall. Despite the best efforts of the “king’s men and horses,” no one is able to repair poor Humpty Dumpty. While Humpty Dumpty is obviously a fictional character – when was the last time anyone saw a large, human-sized egg with arms and legs walking around town – some individuals are “fragile” in the sense that pre-existing physical or mental injuries and conditions have weakened them and made them more susceptible to injuries. When these individuals do suffer personal injuries as a result of the negligence or reckless behavior of another, the pre-existing conditions of these “eggshell plaintiffs” are often aggravated and the resulting harm to these plaintiffs can be more severe than had the injury occurred to a healthy and able-bodied individual. How would an eggshell plaintiff’s pre-existing conditions factor into a personal injury lawsuit for damages? The general rule is that defendants (those accused of behaving carelessly) “take” their injury victims as they are. 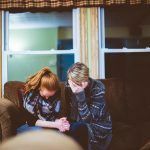 This means that the defendant is responsible for all of the harm and injury that results to another person when the defendant’s behavior causes the injury. This is true even if the harm to one particular plaintiff (The injured party) is more severe than it would have otherwise been because of the plaintiff’s pre-existing conditions. For example, suppose two similarly-situated defendants cause a car crash and injure another driver (Defendant One crashes into Driver One, and Defendant Two crashes into Driver Two). The facts about each crash – the angle of impact, the respective speeds of each vehicle, etc. – are precisely identical. The only difference between the two crashes is that Driver One is perfectly healthy while Driver Two has a pre-existing back condition that has weakened his vertebrae and made him more susceptible to injury. In the Driver One case, suppose Driver One’s injuries require a few weeks off of work and some rehabilitation. Driver One makes a full recovery. Defendant One should be held responsible for the losses and expenses of Driver One (medical bills, rehabilitation costs, lost wages, etc.). In the case of Driver Two, suppose that, because of his preexisting condition, Driver Two’s spine suffers catastrophic injury that results in Driver Two being permanently paralyzed from the waist down. 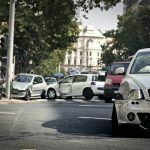 Defendant Two is responsible for the monetary value of the injuries and expenses suffered by Driver Two as a result of the crash – even if another driver with a healthy and strong back would not have been as seriously injured as Driver Two. In other words, a defendant in the position of Defendant Two is not able to argue that he or she should not have to pay the full amount of compensation to the injury victim because the victim’s injuries are worse than they would otherwise be if the victim did not suffer from a pre-existing condition. One of the chief challenges for eggshell plaintiffs and their attorneys is to clearly and accurately describe the nature and extent of the plaintiff’s pre-existing condition and how this condition was aggravated by the defendant’s actions. Through a careful and accurate explanation of the plaintiff’s medical records by the plaintiff’s primary physician as well as expert witnesses, the plaintiff and his or her attorney must make the judge or jury understand where the plaintiff’s pre-existing injuries ended and where the injuries and harm attributable to the defendant’s conduct begin. 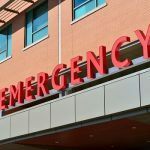 If you suffer from a pre-existing condition and have been further injured by another person’s careless acts, contact The Law Office of Edward A Smith today. Ed Smith, is a Sacramento Car Accident Attorney. Give him a call to discuss your case. 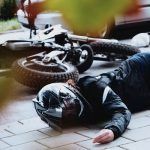 He has assisted folks injured in serious car crashes, pedestrian accidents, motorcycle accidents and other personal injury related matters caused by the negligent acts of others. Ed can be reached today at (916) 921-6400 for free, friendly advice. Elsewhere, call him toll free at (800) 404-5400. Read Ed’s customer reviews here: Yelp, Avvo and Google. See for yourself what Ed’s clients have to say about working with him and his friendly staff. Member of Million Dollar Advocates Forum. These are trial lawyers who have won multiple cases worth over a million dollars. Ed has been practicing personal injury law exclusively since 1982. Take a look at his Past Verdicts and Settlements page.